but for the love of God, MTS is an all day riding super comfy super tourer. They both are similar in so many ways with all the electronic aids and suspension. BMW is a powerful beast that is raw and yet very predictable and precise. MTS is bigger and heavier, but man she carries that weight well. Excellent headlights, wind protection, comfortable tourer that transforms into a sport machine with a press of a button once you get to the twisties. Love the MTS, I tried to trade my 2017 S1000R Sport for a leftover (heavily discounted) 2017 MTS S Touring but the dealer would not work with me on the trade so I had to walk away. 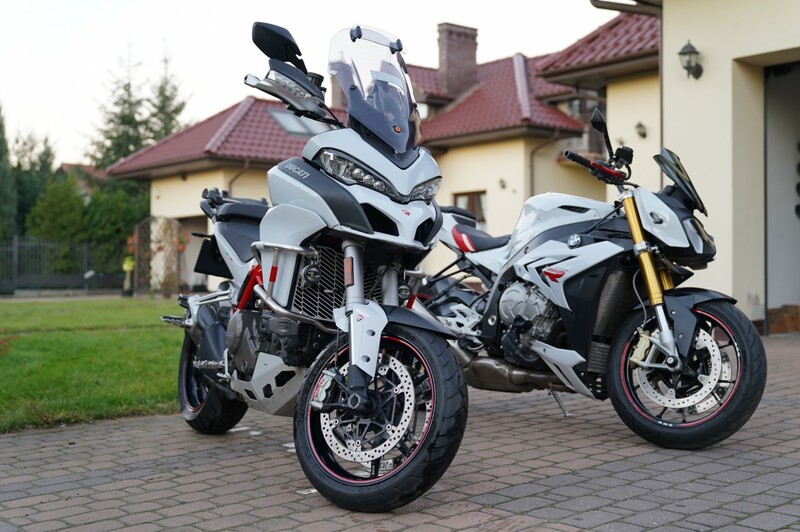 Bets of both worlds..I also like white bikes BUT hate white wheels! Biggest PITA ever to clean! Congratulations and ride in good health. But why not an s1000Xr? I love everthing about the MTS but I don't thinkI can live with the beak and the riding an ostrich feeling! Only bike that does the wannabe ADV look well is the XR.